"Located up on a hill and off the beach, the hotel is aging b..."
Have a question for Hinsuay Namsai Resort? "Occupancy very low which is great if like quiet or the pool." 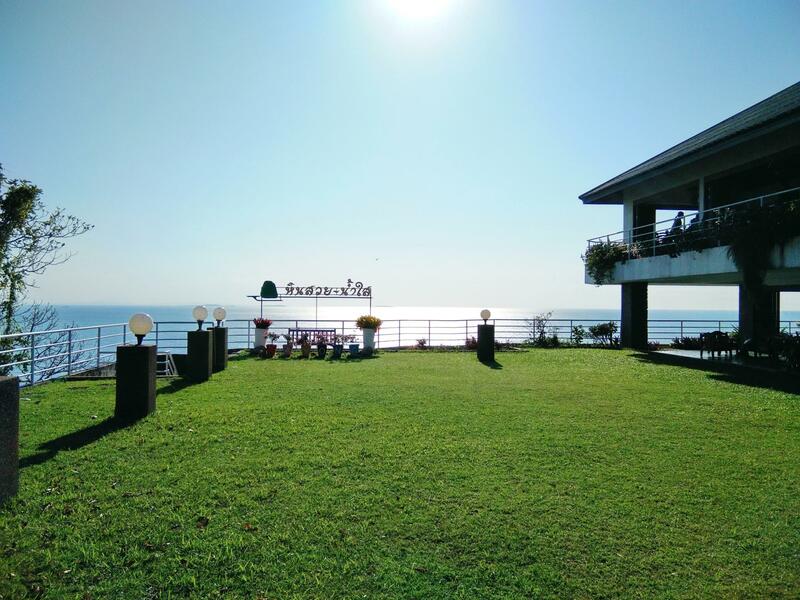 The resort provides 173 guestrooms that stand on a hilltop that overlook the sea in the beautiful area of Rayong. The Hinsuay Namsai Resort is situated 230 kilometers from central Koh Samet and 35 kilometers from Klang. It is also a five-hour drive from Bangkok, an hour away from the city of Pattaya, and 15 minutes to the Ban Phe Pier. The 3-star resort has plenty of great recreational facilities such as two tennis courts and a golf course. For families with small children, there is a kid’s club that will keep them happy throughout the day. When you're ready to book a room at Hinsuay Namsai Resort, please enter your travel dates into the secure online booking form and click. "No problems - quiet, clean, excellent views." It is a cosy hotel with nice view. I like sofa, bed and garden at the balcony. The breakfast has soy milk and deep-fried doughstick which I like the most. The receptionist is not smile but she is nice person. The swimming pool is large. did not know the difference in the rooms as identified . we expected the rooms to be similar but superior was in an inferior building versus the deluxe rooms. no internet in the building we were located. that night the area electricity went out because of a rain storm. there was no emergency lighting at the front desk, the stairwells or the hallways. the receptionist gave us 2 candles and matches to find our way. thank goodness we had small flashlight. there was limited parking, not enough for the number of cars brought by guests. there was only one small elevator, room for 2-3 people and luggage to support 5-6 floors with about 100 total rooms. the positive items; breakfast buffet, scenic view. the mattresses were on a raised floor, not really a bed. the bathroom ceiling leaked from water on the upper floor bathroom. also no hot water in the sink. if you plan on staying here, need to get a deluxe room not a superior room. Very accommodating staff, great location and view. Clean rooms and a great value with breakfast included. The breakfast is either American breakfast or buffet. The hotel hosts company and other kinds of functions. The buffet breakfast is served when they are busy, otherwise you may find yourself with just a few other guests having American breakfast. The breakfast is good but the lunch and dinner options not so good. The hotel is dated but the staff and view makes up for it. I must give this hotel a high rating because of the ocean view and excellent service. You need to know that the hotel is somewhat dated but it is clean. The entire property also includes bungalows and condos, it is large and therefore not kept up to a standard you will find at the Marriott, however you stay for a fraction of the price including breakfast. about 3 hours drive from bangkok to hotel. it is on a little hill, and have a beautiful seaview. hotel lobby at the top of hill, the room down to the hill. we can walk down to the beach below. roor interior decoration is older, but fairly clean. breakfast is rich. the staff were cheerful and polite every second of out stay. the room was nice and spacious with a stunning view. if you are looking for a hotel that gives you complete relaxation, the hinsuay namsai resort is the place for you. look no further. 1) Beautiful view. 2) Clean. 3) Very big room. 4) Nearby many beautiful beach in Rayong. 5) Big swimming pool. 6) Quite private beach. 7) Very reasonable price 5) Good breakfast providing. I would say that Hinsuay Namsai Resort is a fantastic place with beautiful view, clean and very big room. It is located nearby many beautiful beaches in Rayong. Breakfast was good. Hinsuay Namsai Resort also has private beach which very quiet and big swimming pool. The receptions could speak English very well. I will definitely go there again and will introduce this resort to my friends who want to go to Rayong. Free wifi in lobby, tho it was down for a few hours, i'm sure that is rare (i hope). The rooms are huge, i stayed in the basic room, has a huge room, free buffet breakfast. The shower water was warm, and sometimes it was even cold. The tv channels have all thai only language stations and movies. Facilities are old. Some are not working well. Overall, the hotel is good enough, and good value to money. I think customers selecting this hotel expect the old facilities, but still working well and clean. So, I would like to suggest checking all facilities before selling the room. Old devices are alright, but multifunctio of them is not acceptable. The room was spacious. Ocean view window was memorable during morning sun rise. Quiet place to relax and enjoy seasside resort. The restaurant was not perfect. Due to ack of customer, service is not up to par. The servce was slow and staff not taking good care of customers at the restaurants. The quality of the food was good as a concolation to poor service. Hin Suai Nam Sai remans one of the few resort hotel in Rayong that can still capture the romance and traquility of seaside resort. 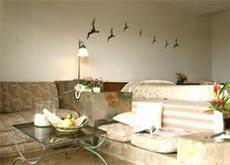 The quietnes of the ambience and space room of the hotel give the place a well balanced resort. The resort is located on he top of the hill. Each floor of the hotel captures the seaside view. The lobbby is located at the 8th floor, but it is also a walk-in level at the parking level. Booking through agoda.com was definitely convenien and worth the dollars. If you are loking for qietness and privacy, this is a place to be. Located up on a hill and off the beach, the hotel is aging but has great views from rooms, restaurant and pool area. Occupancy very low which is great if like quiet or the pool. Rooms would benefit with some updating. Staf is ok, not bad view - that is all for good. Terrible! Moving out from this hotel after half hour. WERY OLD HOTEL! When come to room see the wet floor, change room but there are: very old conditioner, dark corridor, dangerous way to the sea, no have sun bed or shower on the beach. Extremely Need RENOVATION! 2 Star hotel !!! Not recommended to visit. So sorry. The hotel is old and needs a major revamp. This whole complex has such amazing potential but is poorly mismanaged. The bathroom were really uncomfortable and not cleaned well enough. The whole room smelt of mold. But, look out the window and it (almost) makes the stay worthwhile. Historical reviews seems very unfair. Things must have recently changed. Providing you have your own transport it's now very good. Room was quite high and sea-facing. Maybe other rooms aren't so good, hill-facing or down the cliff a bit? If you get the same type of room as we did then all is good. Staff were very helpful - again, reviews seem ufair. We will go back. It's one of the best places along this beach at a sensible price. We checked out the first night, because the shower head was broken and rusty. Guest services changed the room for us ,when we checked the bed the linens were not changed. Then they changed us to the junior room, but still had the same problem. So we left the hotel at that night and looking for the new one. We were not happy. The hotel is very big but seems to be too big to maintain as the condition is deteriorating everywhere. Room with ocean view from the cliff. Breakfast on the highest floor. Beach is really rocky and far to walk down from the main building. It locates on the top of the hill cross to the coast with wonderful view. We can enjoy 24 hours and 360 degrees panoramic view. 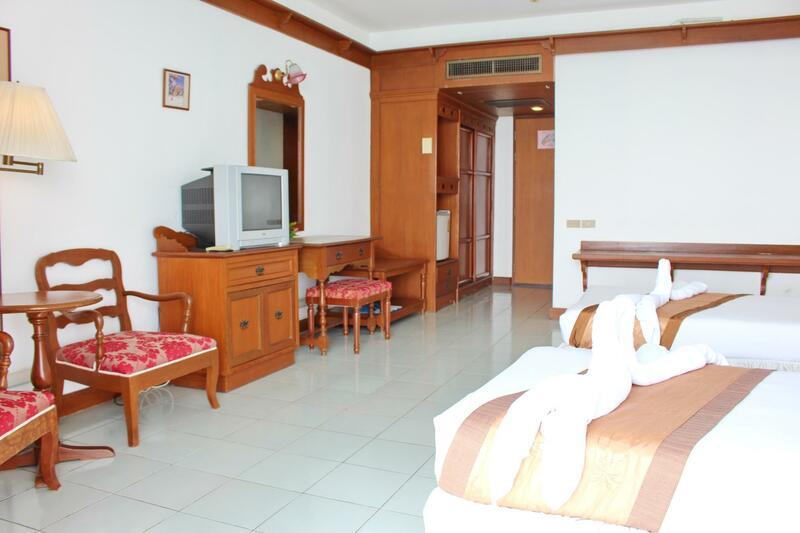 Hotel functions are a little old such as no internet in guest room or room is too wide with no proper furnitures. Breakfast is not amazing.